Police are searching for Michelle Vash Payne's boyfriend, who allegedly argued with her shortly before their bedroom caught fire. The black transgender woman found fatally stabbed multiple times at the scene of a house fire in the Van Nuys district of Los Angeles Saturday has today been identified by authorities as 33-year-old Michelle Vash Payne, reports city news station KTLA. Firefighters encountered Payne's body in her apartment's kitchen while responding to a fire in the rear bedroom shortly after 5 a.m. The victim shared the apartment with her boyfriend, who police now consider the prime suspect in her murder. Officials are still searching for him. 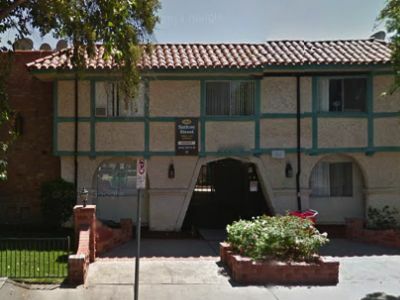 Neighbors told reporters from Los Angeles station KABC that Payne, who had recently moved to the apartment building with her boyfriend, was open about being trans. Police say neighbors heard the couple arguing at about 4 a.m., and the fire started soon afterward. A vigil for Payne is being held tonight at 6pm at 14600 Saticoy Street in Van Nuys where Payne's apartment building is located, according to the Los Angeles LGBT Center. Payne is the third U.S. trans woman of color murdered in 2015, in what the National Coalition of Anti-Violence Programs has called an "alarming, fatal epidemic of violence against transgender and gender-nonconforming women, specifically transgender women of color in the United States." On January 9, 20-year-old Papi Edwards was fatally shot by a suspect identified as Henry Richard Gleaves outside of a Louisville, Ky., hotel. On January 23, 30-year-old Norfolk, Va., resident Lamia Beard died at a local hospital after being shot by an unknown assailant. And on January 26, a 24-year-old nursing student, Ty Underwood, was fatally shot by an unidentified attacker while trying to drive away in a car. Payne's case also highlights Southern California's particular rash of antitrans violence, which saw three trans women of color murdered in 2014. Deshawnda Bradley, 21, died from a gunshot wound December 3 and Aniya Parker, 47, was fatally shot October 2, both in suspected robberies. In addition, immigrant rights activist Zoraida "Ale" Reyes, 28, was found strangled behind an Anaheim Dairy Queen on June 12. Arrests have been made in the latter two cases. Anyone with information regarding Payne's murder is asked to contact the Van Nuys detective desk at (818) 374-0040 during the day, or (818) 374-1999 during after hours.